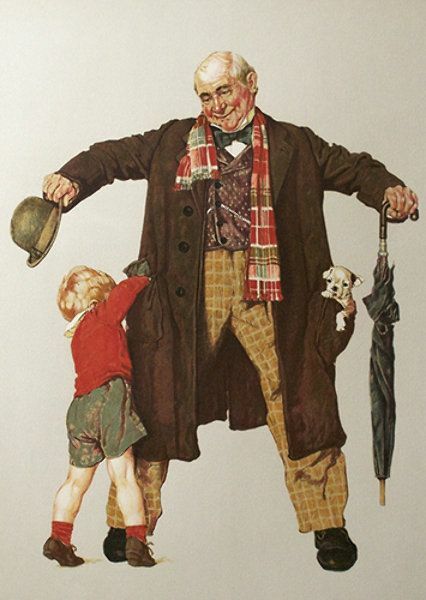 This young boy has a delightful surprise in store for him, once he looks in the right place, and amusement is written all over the man’s face as he watches the young lad! This painting is by Norman Rockwell. Did it bring a smile to your day?